Enjoy a world-class Alpe Adria Trail and walk in the Slovenian garden of Eden. Choose between Alpine landscape in Triglav National Park or rolling hills of fairy-tale Brda wine region. 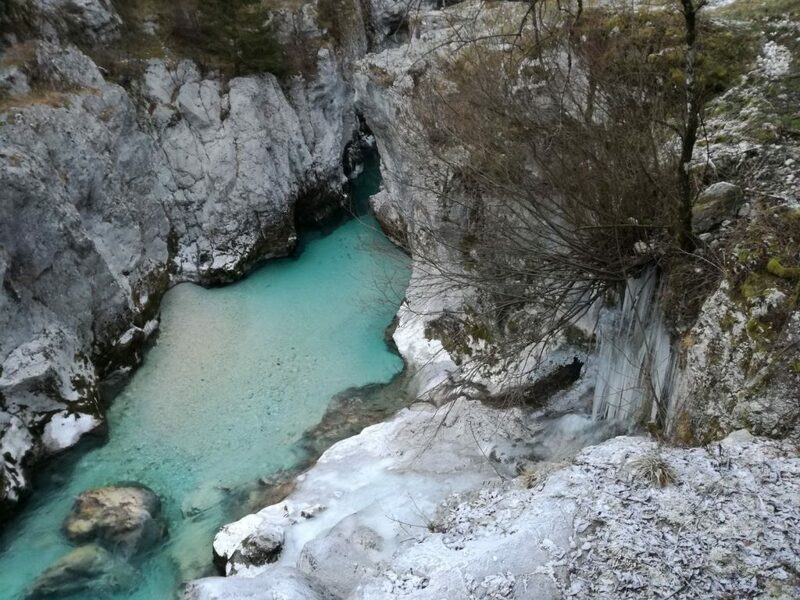 Walk Alpe Adria Trail at the edge of unspoiled Triglav National Park. Feel the scenic Alpine landscape, observe breathtaking high mountain peaks of the Julian Alps and follow emerald green Soca river with many suspension bridges. Listen to the murmur of Soca river and watch marble trout swirling. Take some selfies beside must-see natural wonders. Enjoy warm-hearted local people and taste local mouth-watering delicacies at family run gostilna. 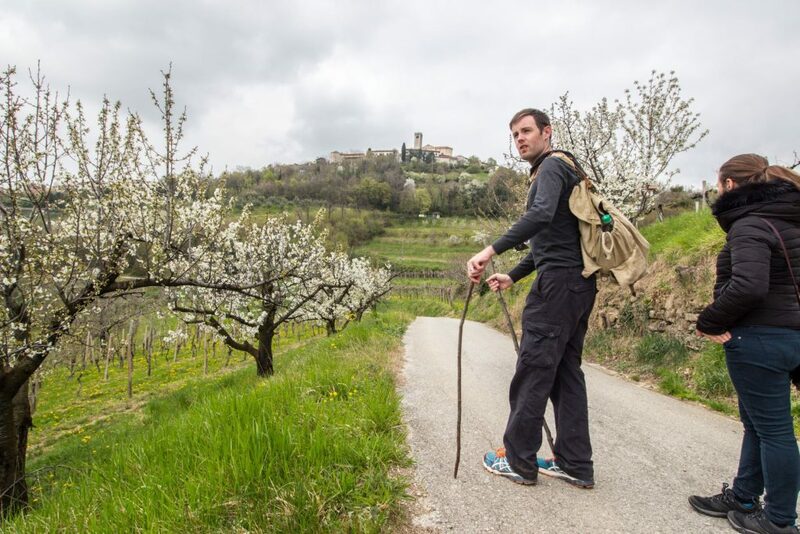 Up for a walk through the vineyards and orchards? Explore enchanting Brda region, a candidate for UNESCO cultural landscape heritage. A picturesque borderline landscape with rolling hills, terraced vineyards, cherry orchards, olive groves and hilltop villages, is nestled between the Alps and the Adriatic. Enjoy fairy-tale landscape with a glass of indigenous old variety rebula wine and admire vineyards laid out in terraces. Walk and sample wine, seasonal fruits, fresh wild edibles. A real walk into the finest Slovenian deli! This is for sure one of the most fantastic walking journey of your life. Must-to-walk experience in Slovenia! led by English speaking local guide. 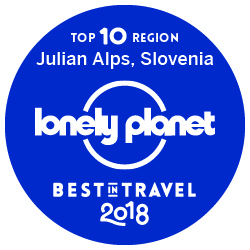 Perfect for people who want to discover magnificent natural treasures, local traditions and rich cultural heritage in the Slovenian Garden of Eden. Time: from April to October by prior arrangement. Price: 89 EUR/person/walk (min. 2 people). The price includes guided walk. The price excludes food, drinks, personal purchases. There is an additional 40 EUR charge for Alpe Adria Trail Experience Soca valley for a taxi from Bovec to Soca. Gratuities and tips are highly appreciated. For now, cash only. Prices are slightly higher if there is only 1 person on the tour. Walk is suitable for hikers of average fitness level. Children are welcome as well! A wonderful day with you has been the highlight of our trip so far! We had so much fun and feel like we met a kindrid spirit. The fact that you customize your adventures based on individual client's interests and capabilities sets you apart and makes people feel special. Vesna tailors her tours to each visitor's taste - we had a wonderful hike through vineyards and cherry trees, during which we stopped for a picnic - fantastic herbal omelette prepared by Vesna. This exchange of cultures was a unique and bonus to our travels in Slovenia.